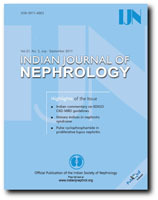 This commentary presents the view of an Expert Group of Indian nephrologists on adaptation and implementation of the Kidney Disease: Improving Global Outcomes (KDIGO) guidelines for evaluation and management of mineral and bone disorder in chronic kidney disease (CKD-MBD) for practice in India. Zonal meetings of nephrologists drawn from the cross-section were convened to discuss the KDIGO guidelines. Recommendations were presented in a central meeting of zonal representatives. The finalized recommendations were reviewed by all the participants. There was a broad agreement on most of the recommendations made by the KDIGO workgroup. Significant departures in the current guidelines from the previous Kidney Disease Outcome Quality Initiative (KDOQI) guidelines were also noted. The participants agreed that the available evidence did not allow more precise recommendations, and the recommended best practice suggestions were often based on relatively weak evidence. There is a remarkable lack of data from Indian patients. We comment on specific areas and amplify certain concepts where we feel that further guidance that goes beyond what is stated in the document might help Indian nephrologists in appropriate implementation of the KDIGO guidelines. This commentary is intended to help define practically implementable best practices based on current disease concepts and available research evidence, thereby positively affecting the quality of management of CKD-MBD in India, and eventually improving patient outcomes. The present study was aimed at studying the effect of Tribulus terrestris on different parameters of oxidative stress and gene expression profiles of antioxidant enzymes in renal tissues of male wistar rats after induction of hyperoxaluria. The animals were divided into three groups. The animals in group I (control) were administered vehicle only. In group II, the animals were treated with ethylene glycol (hyperoxaluric agent) and those in group III were administered T. terrestris plant extract in addition to ethylene glycol. All treatments were continued for a period of seven weeks. Ethylene glycol feeding resulted in hyperoxaluria as well as increased excretion of calcium and phosphate. Serum creatinine, uric acid and blood urea nitrogen levels were also altered in hyperoxaluric animals. Various oxidative stress parameters viz. lipid peroxidation and activity of antioxidant enzymes were used to confirm the peroxidant state. 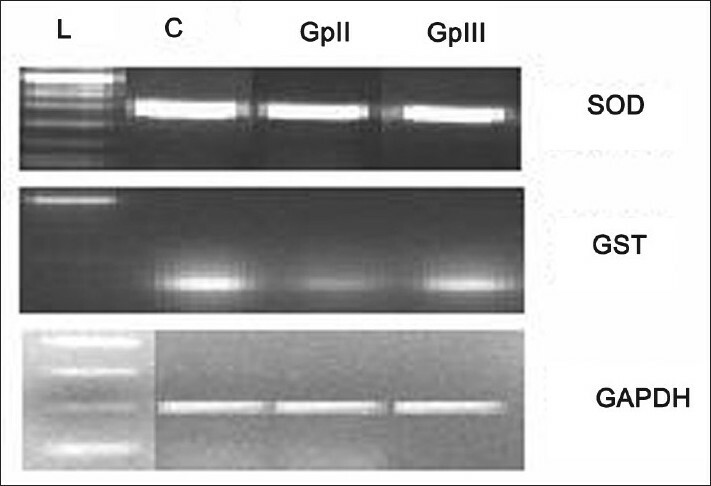 Reverse transcription-polymerase chain reaction (RT-PCR) analysis was used to confirm whether steady-state transcription level of different antioxidant enzymes was altered. T. terrestris significantly reduced the excretion of oxalate, calcium, and phosphate along with decreased levels of blood urea nitrogen, uric acid and creatinine in serum. T. terrestris also reduced hyperoxaluria- caused oxidative stress, and restored antioxidant enzyme activity and their expression profile in kidney tissue. 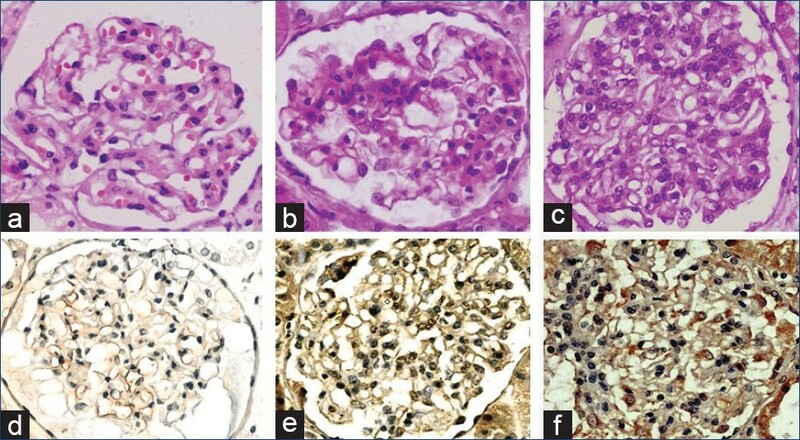 Histological analysis depicted that T. terrestris treatment decreased renal epithelial damage, inflammation, and restored normal glomerular morphology. Proliferative lupus nephritis deserves aggressive therapy and cyclophosphamide plays a pivotal role. Thirty nine patients with proliferative lupus nephritis (Class III-7 patients and Class IV- 32 patients) with a median follow up of 38 months were considered for this observational study. All the patients received induction therapy with intravenous methylprednisolone. Cyclophosphamide was given intravenously initially in monthly pulses for six months and later quarterly pulses until remission was achieved or until the target dose (200 mg/kg) was reached. The treatment with intravenous methylprednisolone was repeated in the event of a nephritic flare. Later the corticosteroid was reduced to a minimum effective dose and cyclophosphamide was changed to either azathioprine or mycophenolate mofetil. At the time of the last follow up, 82.05% of the patients were in remission (complete remission 51.28% and partial remission 30.77%). The median interval to achieve remission in responders was 15 months. Early diagnosis (P=0.04), a higher creatinine clearance at presentation (P=0.02), and concurrent use of an ACEI or an ARB (P=007) significantly favored attaining remission. Five patients experienced a doubling of serum creatinine and one of them became dialysis dependent. Risk of doubling of serum creatinine correlated with a low Ccr (P=0.03) at presentation, occurrence of renal flares (P=0.034) and failure to achieve remission (P=0.0001). The parameters like serum creatinine, serum C3, serum C4, activity and chronicity indices on renal biopsy, hypertension were not statistically significant. Therapy with cyclophosphamide, if initiated early, helps in inducing remission and hence can retard the progression to CKD. Podocytes are highly specialized epithelial cells that form part of the filtration barrier in the kidney, and their loss reflects a malfunction in glomerular filtration, which is usually associated with the progression of the disease. Glomerulonephritis is a serious complication that develops in about 50% of the lupus patients and is characterized by proteinuria arising from direct or indirect podocyte injury. To assess the possible role of podocytes in the pathogenesis of lupus nephritis (LN). Urinary and glomerular podocytes were detected in the kidney biopsies of patients (n = 17) with lupus nephritis, and from control biopsies obtained during autopsies. The WT-1 protein was used as a podocyte marker. The cumulative excretion of urinary podocytes was detected in the urinary sediments of LN patients and normal healthy controls, and the specimens were analyzed by immunohistochemistry, immunofluorescence, and enzyme-linked immunosorbent assay. The apoptotic index was determined by terminal deoxynucleotidyl transferase-mediated dUTP nick end labeling. Gross proteinuria in lupus patients was determined via 24-hour urine samples, and the results were analyzed by Student t test. Biopsy specimens from 17 patients with class-III or IV LN had lower levels of glomerular WT-1 expression than the levels found in normal kidneys (P < 0.0001). The reduction of glomerular podocytes in patients with lupus nephritis correlated with the cumulative excretion of urinary podocytes (P < 0.0001) and proteinuria. There was no correlation between the urinary podocytes and the apoptotic index in the LN urinary sediments. A decrease in glomerular podocytes is associated with their cumulative excretion in urinary sediments; therefore, such findings correlate with proteinuria in lupus nephritis patients. Sodium retention is the hallmark of idiopathic nephrotic syndrome (INS). Sodium retention could be secondary to activation of renin-angiotensin-aldosterone axis or due to an intrinsic activation of Na+ K+ ATPase in the cortical collecting duct. Urine potassium/urine potassium + urine sodium (UK+ /UK+ + UNa+) is a surrogate marker for aldosterone activity and can be useful in differentiating primary sodium retention from secondary sodium retention in children with INS. This was a cross-sectional study of children with INS, presenting to our center from June 2007 to June 2008. Children were categorized into those with steroid responsive and steroid nonresponsive nephrotic syndrome. One hundred and thirty-four children with nephrotic syndrome were analyzed. The FeNa+ was significantly lower during relapse than in remission but no such difference was observed with UK+ /UK+ + UNa+. The values of FeNa+ and UK+ /UK+ + UNa+ across various categories of nephrotic syndrome were similar. 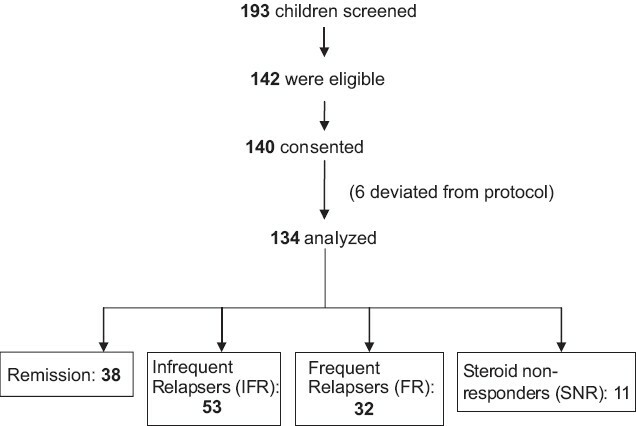 Correlating FeNa+ and UK+ /UK+ + UNa+ with cut-off of 0.5 and 60%, respectively, we found 50% of steroid responsive children and 36% of steroid nonresponders having a corresponding UK+ /UK+ + UNa+ of <60% along with low FeNa+ of <0.5%, favoring primary sodium retention. Urinary indices did not vary with the type of steroid response. In early relapse, the urinary indices revealed an overlap of both primary and secondary sodium retention in most stable edematous children with nephrotic syndrome. End-stage kidney disease (ESKD) patients on maintenance hemodialysis (MHD) have a lot of anxiety. Anxiety and coping are associated with the locus of control; the present investigation aimed to study the state and trait anxiety, locus of control, and active and passive coping among patients on MHD. Thirty MHD patients and 30 controls were administered State-Trait Anxiety Inventory, Rotter's Locus of Control Scale, and Coping Responses Inventory. There were significantly higher scores on state and trait anxiety, respectively (67.53 ± 10.89 vs. 59.40 ± 6.97, P < 0.01, and 62.97 ± 8.45 vs. 58.07 ± 7.06, P < 0.05), and locus of control (11.27 ± 3.55 vs. 9.04 ± 1.86, P < 0.01) in patients as compared to controls. On coping responses, patients and controls differed on positive reappraisal (54.33 ± 4.67 vs. 51.17 ± 3.12, P < 0.01), seeking guidance and support (58.07 ± 5.51 vs. 53.27 ± 4.22, P < 0.01), problem solving (51.03 ± 4.70 vs. 47.57 ± 4.73, P < 0.01), cognitive avoidance (60.27 ± 6.76 vs. 56.80 ± 4.08, P < 0.05), acceptance or resignation (61.67 ± 6.30 vs. 58.83 ± 4.23, P < 0.01), emotional discharge (68.07 ± 6.78 vs. 64.30 ± 4.50, P < 0.05), approach coping (205.57 ± 10.55 vs. 189.70 ± 11.37, P < 0.01), and avoidance coping (255.30 ± 16.45 vs. 241.10 ± 10.50, P < 0.01). A higher prevalence of anxiety trait could be the cause of anxiety in MHD patients besides the medical problems. The locus of control among patients though a mixed one was significantly more toward externalism. Thus, there is a need to identify this group well in advance and prepared not only medically but also psychologically for MHD. Renal transplantation (RTx) is the best therapeutic modality for patient suffering from end-stage renal disease (ESRD). Deceased donor organ transplantation (DDOT) accounts for <4% of RTx in India. 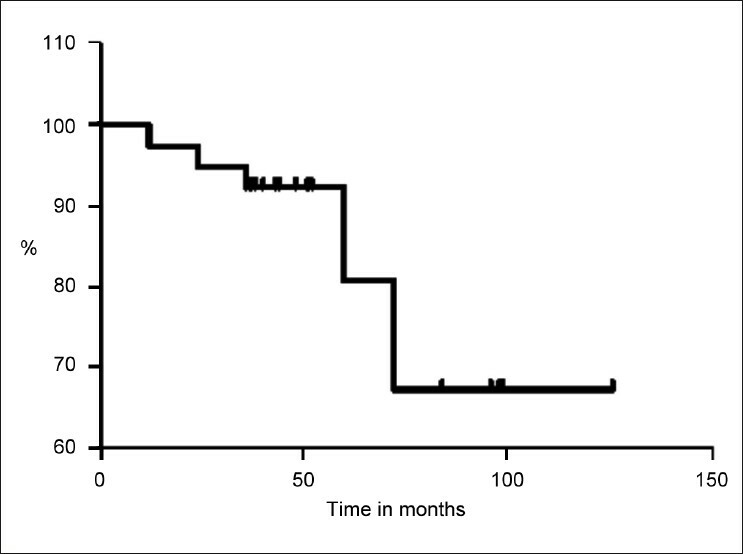 We report 4 years single centre experience on DDOT vis-à-vis patient/graft survival, graft function in terms of serum creatinine (SCr), rejection episodes, and delayed graft function in 160 DDOT. Between January 2006 to December 2009, 160 RTx from 89 donors were performed, of which 25.2% were expanded criteria donors. Majority of the donors were brain dead due to road traffic/cerebrovascular accidents. The commonest recipient diseases leading to ESRD were chronic glomerulonephritis (49%), diabetes mellitus (10%), and benign nephrosclerosis (10%). Mean recipient/donor age was 35.6±14.68 and 44.03±18.19 years. Mean dialysis duration pretransplantation was 15.37±2.82 months. Mean cold ischemia time was 5.56±2.04 hours. All recipients received single dose rabbit-anti-thymocyte globulin induction and steroids, mycophenolate mofetil/calcinueurin inhibitor for maintenance of immunosuppression. Delayed graft function was observed in 30.6% patients and 14% had biopsy proven acute rejection. Over mean follow-up of 2.35±1.24 years, patient and graft survival rates were 77.5% and 89.3% with mean SCr of 1.40±0.36 mg/dl. 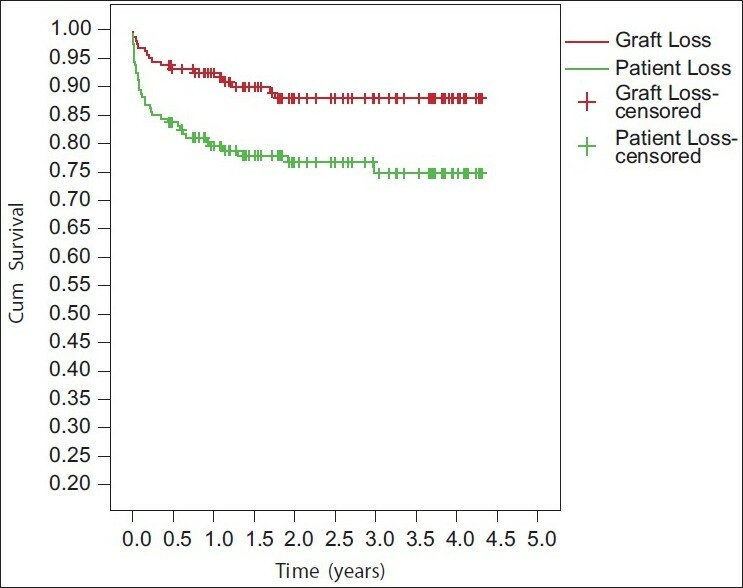 DDOT has acceptable graft/patient survival over 4 years follow-up and should be encouraged in view of organ shortage. The purpose of this study was to estimate the serum levels of IgG, IgM, and IgA in nephrotic syndrome (NS) cases, in activity or in remission, and to detect their levels in relation to steroid response by evelautingthe relationship between IgG/IgM ratio and response to steroids. We investigated 27 cases with NS in activity and in remission and 20 healthy children as controls. Group A included 16 NS patients (12.3±1.4 years) who were steroid-resistant, frequent relapsers, or steroid dependent. Group B included 11 steroid-sensitive NS patients with a mean age of 11.6±2.1 years. Group C included 20 healthy children with a mean age of 12.1±2.3 years who were the control group. We found lower serum IgG level in NS cases compared with the control group; and it was lower in activity than in remission. The levels were lower in Group A compared with those of Group B. Serum IgG levels in Group A were as follows: in activity, 2.29±1.13 g/L and in remission, 4.3±2 g/L. In Group B, they were 6.2±1.2 g/L and 6.5±1.15 g/L in activity and in remission, respectively, and 11.8±2.5 g/L in the healthy control group (P<0.05). 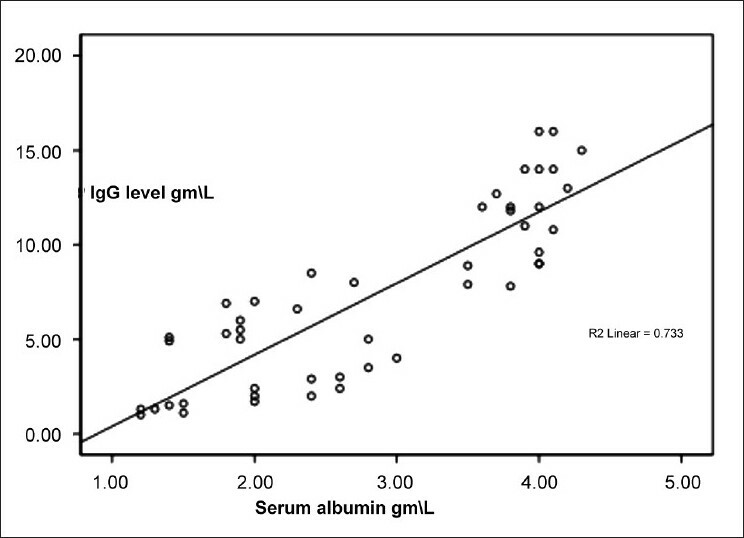 There was a direct correlation between serum albumin and serum IgG. We found no significant difference in serum IgM and IgA levels among studied groups whether in activity or in remission. Serum IgG/IgM ratio was lower in activity and in remission in the patient groups than in the control group as it was 9.3±4.7 in healthy subjects. It was 1.8±1.5 in Group A in activity and 3.2±2 in remission, and in Group B 4.8±2.39 in activity and 4.8±2.4 in remission. We conclude that IgM and IgA show no significant difference in NS patients. Serum IgG is lower in NS than in the control group and is much lower in activity than in remission. 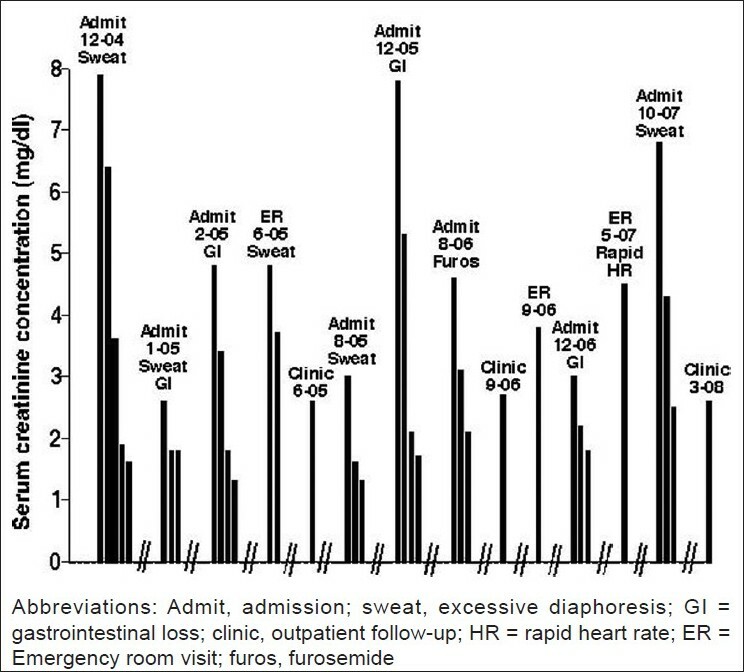 It is lower in patients with poor steroid response. We propose a predictive value of IgG/IgM ratio in activity, that is, the higher the IgG/IgM ratio in activity, the better the prognosis. We report a 58-year-old woman who presented with acute quadriparesis, bulbar weakness, atrial fibrillation, ventricular ectopics, and distal renal tubular acidosis with severe hypokalemia. She recovered completely on potassium and alkali supplementation. The patient also had hypergammaglobulinemia with probable primary Sjogren syndrome. 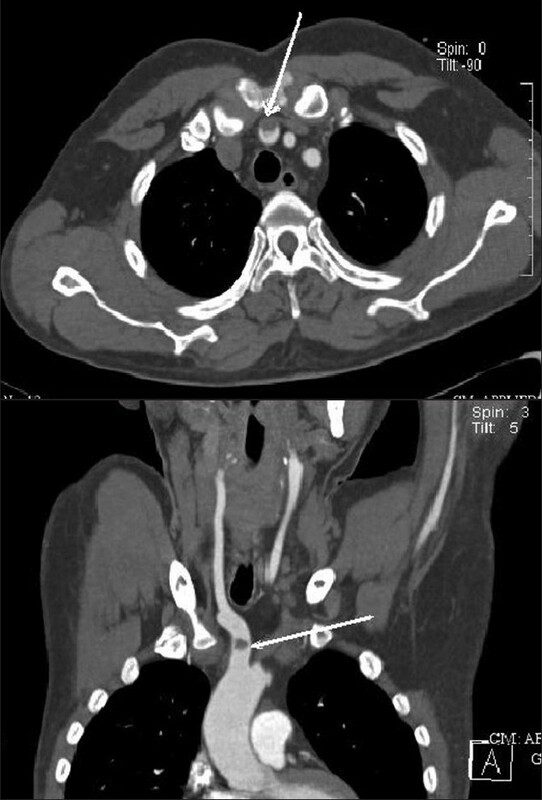 We present the case of a 58-year-old male with chronic kidney disease who was admitted to the hospital multiple times with extracellular fluid volume depletion and prerenal azotemia. Some episodes were associated with gastrointestinal fluid losses and others with profuse diaphoresis in the absence of gastrointestinal fluid losses. At the age of 57 years, a common cystic fibrosis transmembrane conductance regulator protein mutation and a family history of cystic fibrosis were documented. We hypothesize that the abnormal cystic fibrosis transmembrane conductance regulator resulted in repeated bouts of excessive sweating, extracellular fluid volume depletion, and acute renal failure. 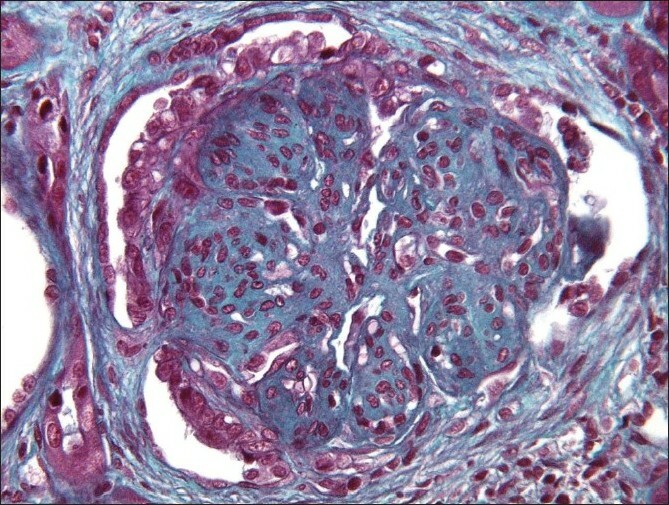 This case is unique because of the prolonged period of time over which multiple documented episodes of prerenal acute renal failure occurred and because of the onset of the episodes in adulthood. Pheochromocytoma of urinary bladder are rare tumors. They present with nonspecific clinical signs and symptoms, so imaging plays an important role in diagnosing and localizing the tumor. We present two cases of bladder pheochromocytoma, one of them presented with vague abdominal pain and the other with hematuria. Biphasic CT in both the cases showed hypervascular intravesical mass suggestive of bladder pheochromocytoma. The lesions were confirmed biochemically or on postoperative histopathology. A brief review of the imaging in bladder pheochromocytoma is also presented. Schistosomiasis is the second most devastating tropical parasitic disease worldwide and is responsible for many urological complications. However, glomerular injury is a rare complication mainly described with Schistosoma mansoni. We report a case of membranoproliferative glomerulonephritis (MPGN) associated with Schistosoma hematobium infection in a young Senegalese boy living in a rural area. Clinical presentation was with steroid-resistant with nephrotic syndrome. Renal biopsy showed type 1 MPGN with the presence of S. hematobium eggs surrounded by a gigantocellular granuloma. Despite therapy with antihelminthic and immunosuppressive drugs, evolution was characterized by progression to end-stage renal disease over 1 year. More efforts should be made on the prevention and early detection of schistosomiasis among at-risk populations. Thrombotic events are known to occur in nephrotic syndrome, as these patients have a hypercoagulable state. Venous thrombosis is well recognized, but arterial thrombosis is rare and is mainly noted in pediatric population. In the present study, we report a case of thrombosis of right brachiocephalic artery, embolic occlusion of right axillary artery, and right middle cerebral artery territory infarction due to thromboembolism in an adult patient with nephrotic syndrome (Minimal change disease). Patient underwent thromboembolectomy in the right axillary artery followed by anticoagulation therapy. Peritoneal dialysis (PD) related peritonitis caused by fungi is a potentially life-threatening complication. It diminishes prospects of continuing PD. 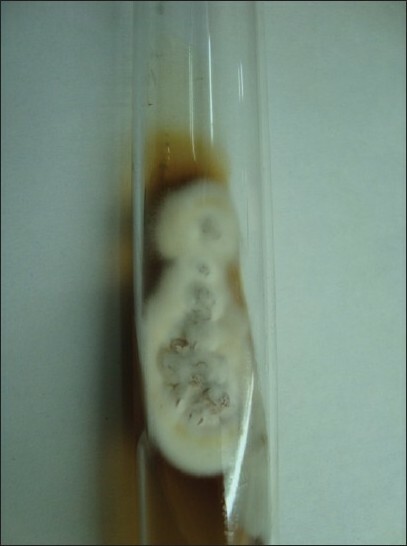 We report a patient with Aspergillus terreus peritonitis treated successfully with catheter removal and antifungal therapy and subsequently had a live-related renal transplantation. There was no recurrence of the infection in 3 years of follow-up. 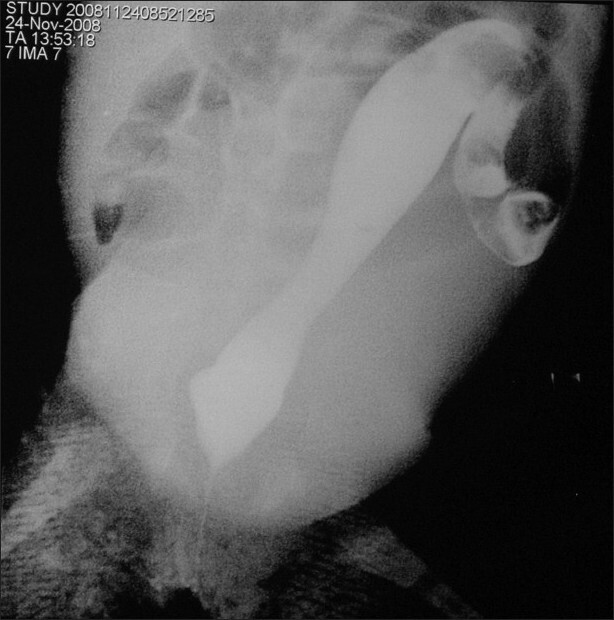 Megacystis, microcolon, intestinal hypoperistalsis is an uncommon condition presenting in neonatal age with features of intestinal obstruction and bladder evacuation abnormalities. We present here an infant girl with the diagnosis consistent with this entity. Acute pancreatitis as a cause of thrombotic microangiopathy is very rare. 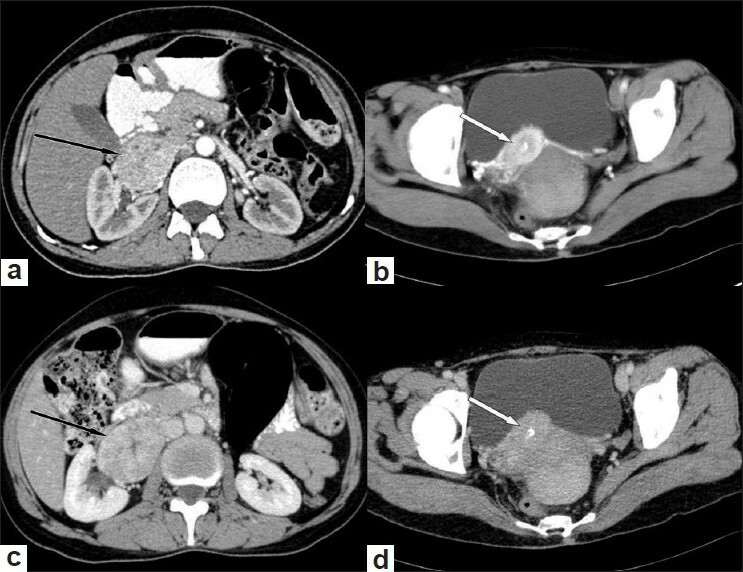 We report a case of 40-year-old woman with idiopathic recurrent pancreatitis, who presented with acute pancreatitis complicated by thrombotic microangiopathy. 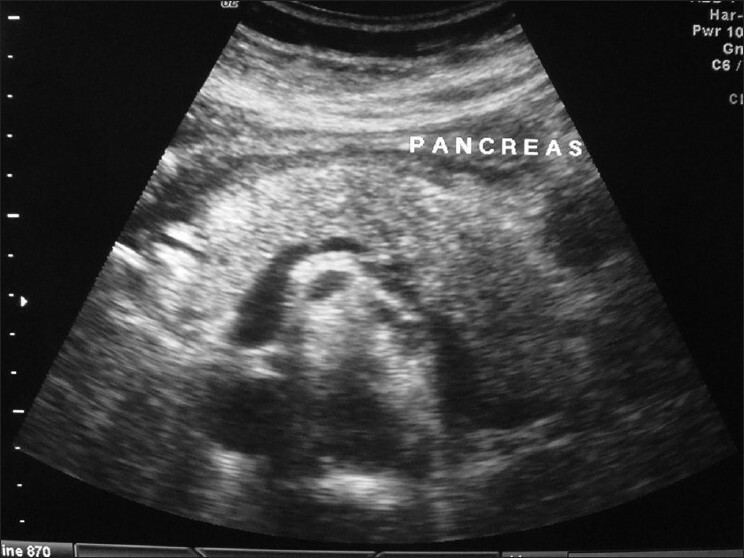 Although thrombotic thrombocytopenic purpura/hemolytic uremic syndrome (TTP/HUS) has been reported as causing acute pancreatitis, the induction of TTP/HUS by pancreatitis is rare. As far as we are aware this is the first reported case of TTP/HUS in association with pancreatitis in India. Our patient had a complete recovery of her thrombotic microangiopathy following plasma exchange therapy.